Having PMS problems? ... uh, let me re-phrase that... Having trouble with PMS? …wait, one more time... 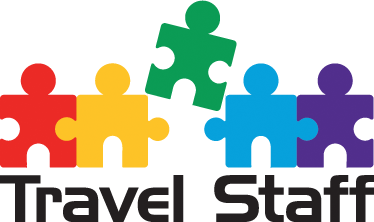 Welcome to the PMS page for Travel Staff! Let us help you find what you’re looking for. If you need it, we got it. If we don’t, we’ll find it. What is the difference between a PMS agent and a corporate or leisure travel agent? All are professionals, all are talented. OK, let’s compare them to the Army, which is made up of many skilled soldiers. Specialized groups exist within the Army. There are the Green Berets, (these would be Corporate travel agents, and you know why)… and there is the Delta Force (PMS agents), a smaller group, with specialized skills. Production Agents can handle the fast paced, ever changing environment of corporate travel, and go beyond that. They keep track of multiple projects, budgets, travel policies, and billing details, while working to calm anxious production managers, finance departments, studio executives, and talent. Additionally, we have Group, Meeting & Incentive Planners (also members of PMS). Like the Army Rangers; these professionals are the elite. Meeting planners juggle rooming lists, travel itineraries, coordinate ground transfers and order up catering, while keeping a keen eye on your budget. Incentive Planners master the art of group movement, detail, and understand the power of reward. Like Meeting Planners, they are proficient in tools dedicated to their craft; Cvent and Starcite. How does Travel Staff know all this? We’ve lived it. Welcome to the Delta Force of travel professionals. Contact us, and we will make the match! Let us find the perfect match for you.